Once again I went simploring. 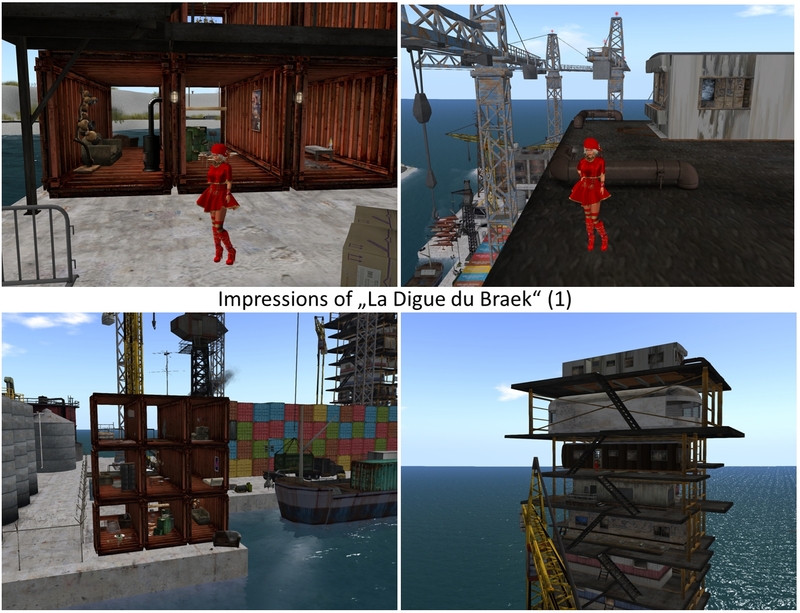 A post in Inara’s blog caught my attention: “Walking La Digue du Braek in Second Life“. 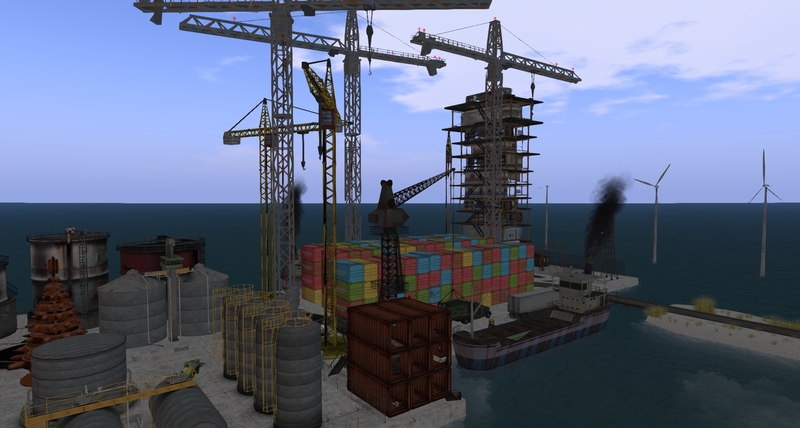 Industrial structures, cranes, rust, dirt, and black smoke are rare in Second Life. La Digue du Braek is the creation of Serene Footmann and his partner Jade Koltai. Serene Footman is alse the creation of Furillen which I visited in November (Furillen in Second Life). 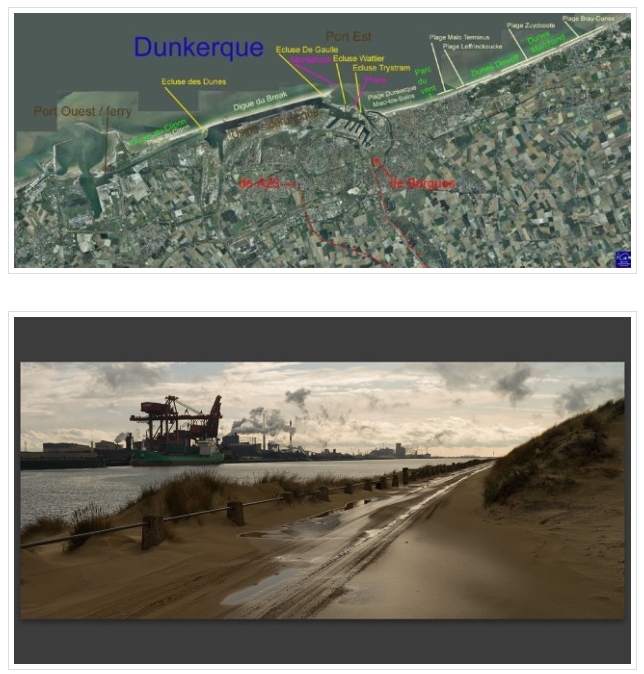 Like Furillen, La Digue du Braek is the Second Life version of a real place – it’s a long street at the harbour of Dunkirk, France. On one side of this road is a beach and just opposed to it is the harbour. You’ll find more Information about La Digue du Braek at the Furillen homepage.